Darth Naga vs 16 Million SHU pure crystal capsaicin extract! 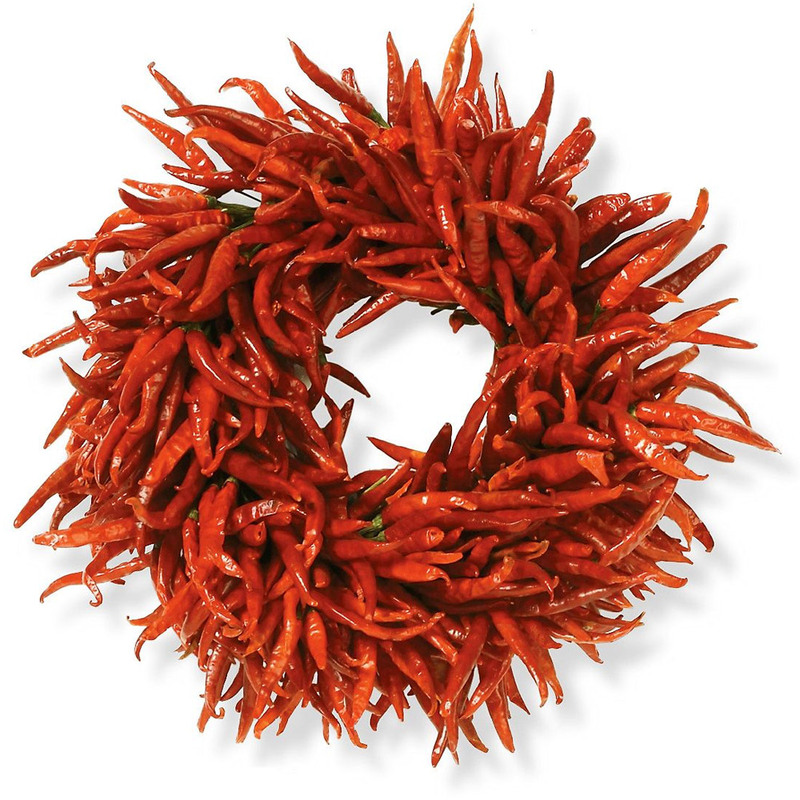 From February 2011 pure capsaicin crystal is going to be illegal to buy or sell in the UK. In advance of this latest bout of meddling from UK authorities Darth Naga tries a whole teaspoon of extract dissolved in vodka. 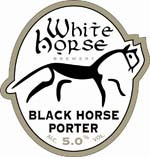 Black Horse Porter is a seasonal beer from the White Horse brewery (see what they did there…) from Stanford-in-the-Vale in Oxfordshire. I have encountered a couple of their beers before and had found them to be well above average, in particular Volund’s Hammer and Wayland Smithy. I came across this beer on cask at the Argyll Arms at Oxford Circus and after looking at the tasting notes – great idea everywhere should do it – I decided to give it a spin. In terms of looks this is exactly what a porter should be, so dark it’s nearly black with a good firm white head that stays well for the duration of the pint. You get the expected aroma of chocolate malt along with a rich biscuity note and some very light fruit. The taste of this porter is superb, rich roasted malts give real depth and body to the beer whilst there is a nice hint of dark fruits which add a little tartness without making the beer in anyway fruity or overly sweet. There is a long dry finish and a really surprising kick of hops which really makes this porter sing. I found this porter to a be a real treat, it was warming and full bodied with a great depth of flavour to it and the liberal use of Kentish hops really made it stand out. There is something about sprouts that just seems to put people off; now personally I think a lot of it comes down to two things – how fresh they are and how they are prepared. There is a huge difference in taste between wonderfully fresh sprouts still on the stalk and those little wizened ones you buy in those nets or even worse frozen. When really fresh sprouts have a wonderful sweet nuttiness to them that I would defy most people to find unpleasant. Of course it doesn’t matter how fresh the sprouts are if you are just going to boil the life out of them and serve up a big dish full of soggy, mushy balls with all the taste and goodness boiled out of them. 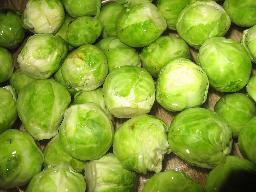 Cook the sprouts in boiling water for about 3 1/2 – 4 minutes before refreshing by plunging into cold water. Now cook the leeks for just long enough for them to start to soften before draining and setting to one side. Chop the bacon into small pieces and place to one side, now take the sprouts and slice them into quarters, if any of the sprouts are particularly large you may want to chop them into more pieces. Fry the bacon in a little olive oil until it has just started to crisp at this point add in the chopped sprouts and a good knob of butter. Cook the bacon and sprouts for around 3 minutes stirring regularly, add in the leeks, black pepper and garlic salt, stir through well and continue to heat for another 2 minutes or so until the leeks have warmed through. Real men don’t eat quiche…. I must have heard that line about a thousand times at this point, somehow there is this strange view that quiche is some sort of effeminate food that no proper man would touch for fear of developing breasts on the spot. Well I happen to think that any man who is worried that his choice of food makes him look “faggy” has some issues that only a few sessions with a psychiatrist will be able to sort out. You only have to take a cursory look at the basic components of a quiche to work out that this is food that is packing some serious flavours yet can still be light and delicate. 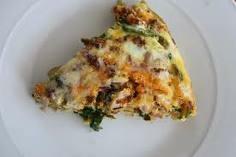 Quiche is also incredibly versatile; you can add pretty much anything you like into them and a quiche can be a great quick meal to knock up out of store cupboard staples or leftovers. The simplest quiche to make is the ever popular quiche lorraine, which incidentally should NOT include onions. However I have decided to go for something a little more fancy and have included my recipe for one of my all time favourites: Chorizo and red pepper quiche. shortcrust pastry – shop bought pastry is fine but it is even better if you make your own. Roll out your pastry to the correct size for the pie dish you are using and line the dish making sure it is well pressed into all of the nooks and crannies. Place the pastry lined dish in the fridge so the pastry can chill. Stir together the milk and double cream before mixing in the eggs. Grate the cheese and stir into the cream, milk and egg mixture until it is well incorporated, season with the paprika, salt and pepper. Deseed the red peppers and slice into strips before mixing in with the chorizo, onion and garlic. Take the pie dish out of the fridge and spoon in the mixture of chorizo, peppers, onion and garlic ensuring that it is well spread out and that all of the base of the pastry is covered. Pour over the egg, cream and cheese mix and fill to the top of the pastry. Bake in a 180 c oven for between 45 minutes and 1 hour or until the eggs have set and the top is golden brown. 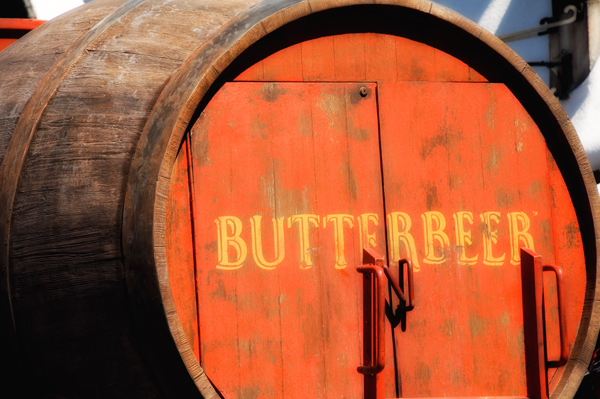 I have messed around with the idea of making butterbeer quite a few times in the past, it has always seemed like quite a nice idea for a festive drink, particularly as I have more than a passing interest in historical English foods and beers. I have tried out several variations but in the end I settled pretty much on Heston Blumenthal’s recipe from one of his TV shows – Heston’s Christmas Feast if my memory serves. I have made a couple of tiny little changes to the recipe but they are purely down to personal tastes. For starters Heston recommends using Old Speckled Hen; now whilst I have nothing against Old Speckled Hen I just find that it doesn’t sit right with me for this particular application. My reasons for this are two-fold; firstly I would rather use something closer to what our Elizabethan ancestors would have had available and secondly and most importantly I don’t think it tastes quite right when mixed with the other ingredients. Seeing as Heston’s recipe is pretty damn authentic I reckon the clash could come about because the other ingredients were supposed to work with a certain style of beer, I have seen other recipes make the suggestion that Fuller’s London Pride would work well but I am also not convinced that this would be the case, a pale ale just seems far too modern somehow. Instead I have opted for an old ale, in this particular instance I am going to use Theakstons Old Peculier but feel free to go with whatever you want to use – I have in the past used Greene King Strong Suffolk to good effect. One quick warning to any parents out there this is NOT a recipe for the drink of the same name in the Harry Potter series, there is very clearly alcohol in this recipe and as such is NOT intended for children to quaff whilst pretending to play quidditch. That said you could always increase the heat in the early stages in order to cook off most of the alcohol, but where is the fun in that? Pour the ale into a saucepan and stir in the ground ginger, cloves and nutmeg. Gently heat the mixture until it is warm, do not let it boil. Cream together the egg yolks and caster sugar. Once the ale is warm, add the egg yolk and sugar mixture, stirring constantly, until the liquid has started to thicken slightly. Be careful not to let the saucepan get too hot or the eggs will scramble. After 2/3 minutes, remove the pan from the heat and whisk in the butter until it melts. Stir vigorously to make sure it is well incorporated with the other ingredients. I had this beer at the GBBF back in the summer I remember that my sole reason for picking up this particular pint was that I was at the festival with my uncle who just so happens to be called Ric and after a day of drinking strong ale this seemed like the funniest thing ever. 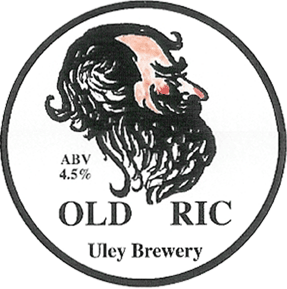 Old Ric is one of the regular beers from the Uley brewery in the Cotswolds and is named after Ric Sainty who was the landlord of the Old Spot Inn in Dursley. Ric was much loved by his customers and sadly passed away in 2008. The beer itself is a clear amber colour with a thin white head and a fruit filled, hoppy aroma. The aromas of the beer come through strongly in the taste and there is a nice full-bodied fruitiness that is very nicely balanced with a slightly bitter finish and a hint of alcohol dryness. I found Old Ric to be very easy to drink and would like to get my hands on some more should the opportunity arise.